Meeting certain performance values is essential for today's standards. Adding a tinted or reflective glass product can be just as challenging when trying to develop a product that is both efficient and aesthetically pleasing. 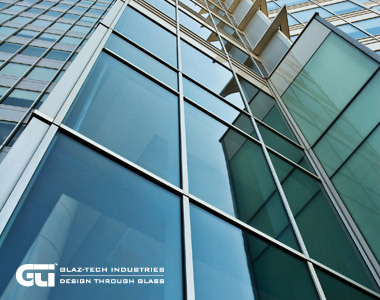 Glaz-Tech's wide range of products and knowledgable professionals allow you to keep your projects flexible and still keep performance a vital component. Please contact your local sales representative for product availability in your area.